What an amazing bookish year 2016 has been. I read a total of 103 books and managed to hit my Goodreads challenge once again (though, in fairness, it was lowered considerably from my usual target as this year has been far busier for me working wise and blogging wise and so I knew that elusive 125 books was out of reach early on. This is the year I discovered my love for beautiful non-fiction books, redisovered my love for young adult fiction, and I started collecting beautiful hardback to prettify my shelves. My favourite books of the year are mostly YA and non-fiction titles, though there is general fiction in there too, as well as a children's series I reread and fell head over heels in love with again. 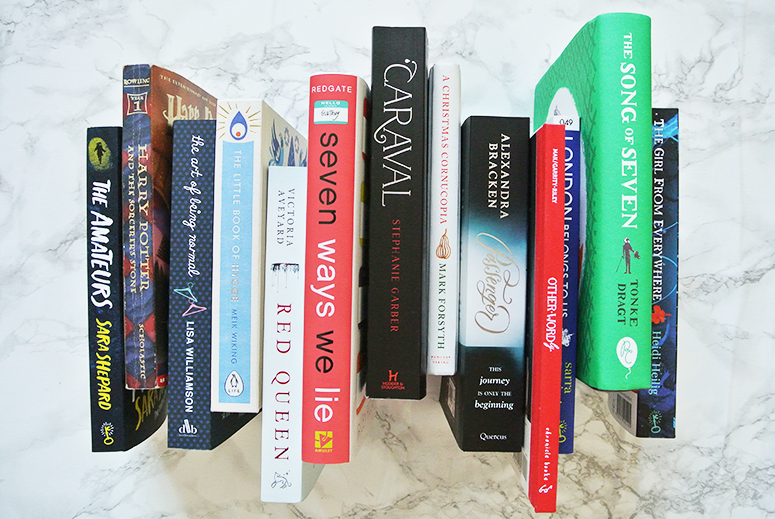 So without further ado, here are my 16 favourite reads in 2016! And those are my favourite reads of the year! What books did you love in 2016? I think my three favourites were The Year of Yes, Swing Time, and A Boy Made Of Blocks. So impressed at your 103!